With spring comes several holiday and celebration days - Easter, Passover and Mother’s Day, to name a few. 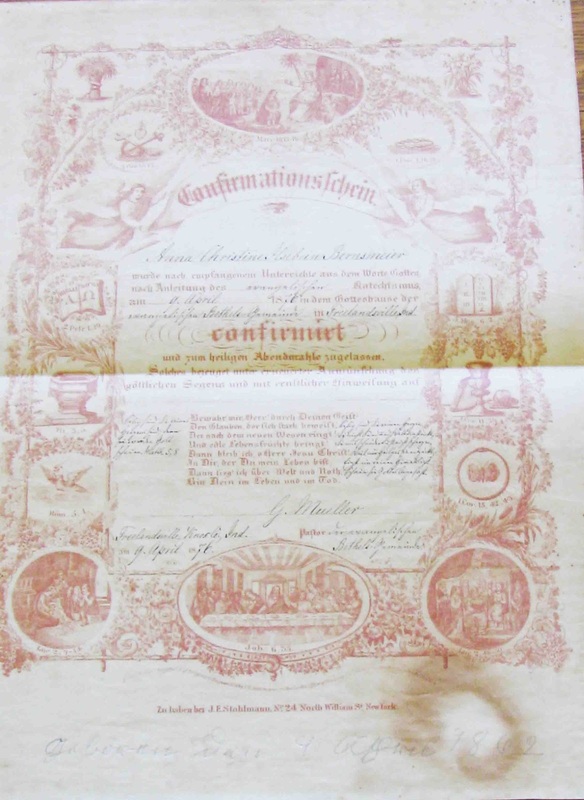 And, with all of the potential family gatherings coming up in the next few weeks, it seems the perfect time to discuss genealogy and the family bible historian. One of the most important and often forgotten sources of information about relatives is the family bible or religious book. This may be the only place where general family life events were recorded early on. 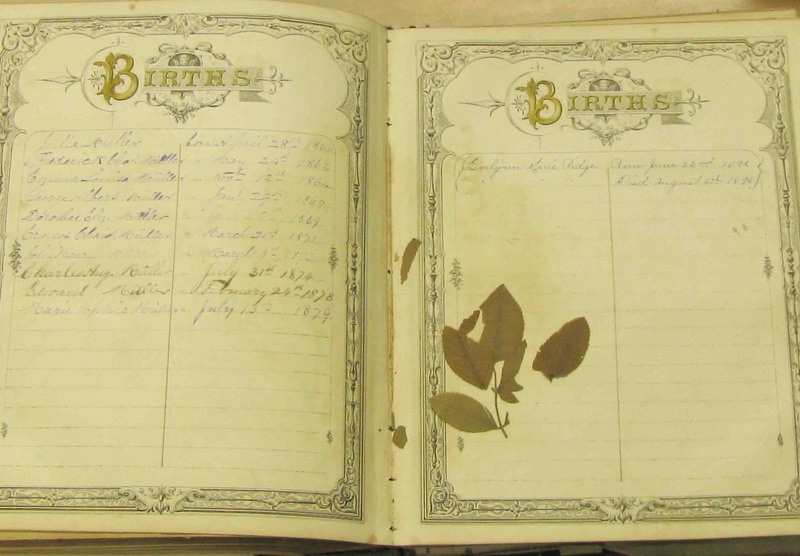 Family bibles are wonderful resources for births, marriages and deaths, going back for generations - in your ancestors’ handwriting. 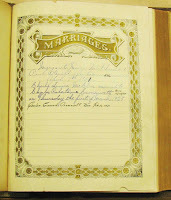 An ancestral bible can be full of information; birth dates, full names and birth locations, marriage dates, spouse’s names, officiating minister, witnesses to the marriage, and the wedding location, death dates, locations and burial spots may be listed, along with recent clippings of obits or funeral cards. 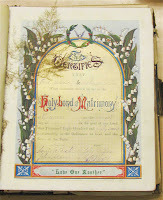 But the family bible may also contain other treasurers. 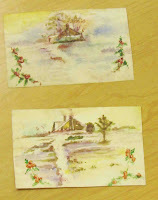 Those I searched through for this post held old photos, souvenir programs, poems, dried leaves, flowers and ferns, water color paintings done on paper and lockets of hair, all items that had been cherished by family members for one reason or another. 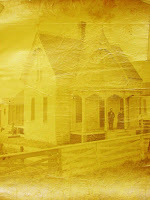 In one old bible, I came across two very old photos. 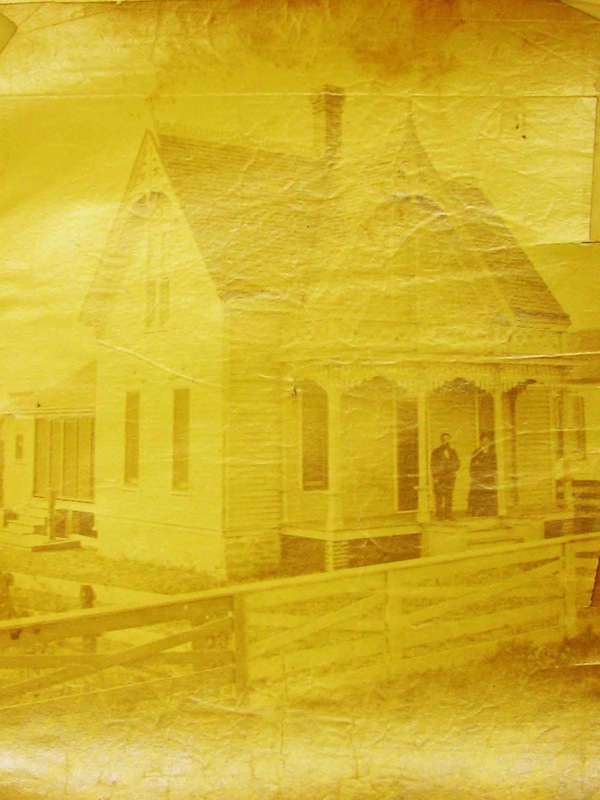 One photo was of a woman, with a notation made on the back –“My Grandmother, Helen(e) Stout.” With this was another photo of a single story clapboard house and a couple standing on the front porch. But no information was provided for this picture. Is it Helen(e) and her husband? Their home? The occasion? 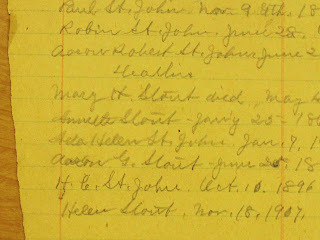 Another paper, pulled from the same bible shows a hand written roll of family members listing their birth or death dates. 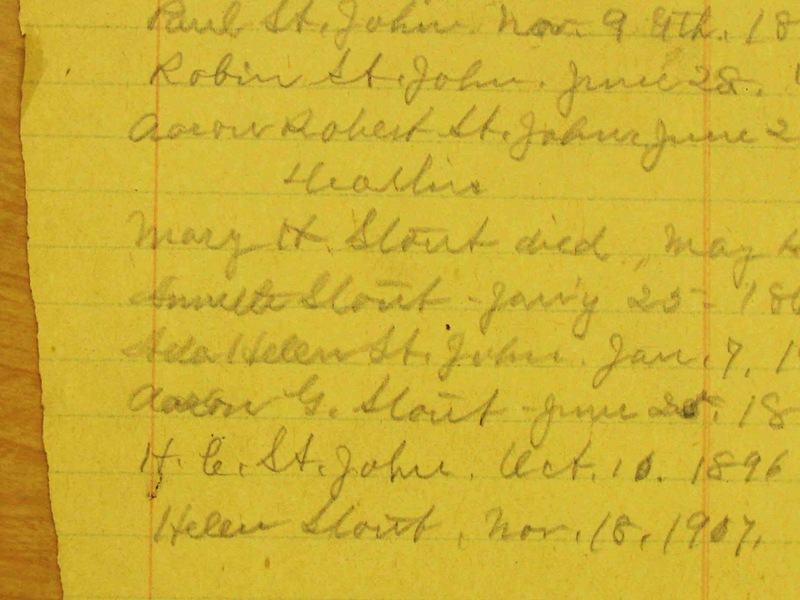 According to this listing it appears that Helen(e) died in November of 1907. 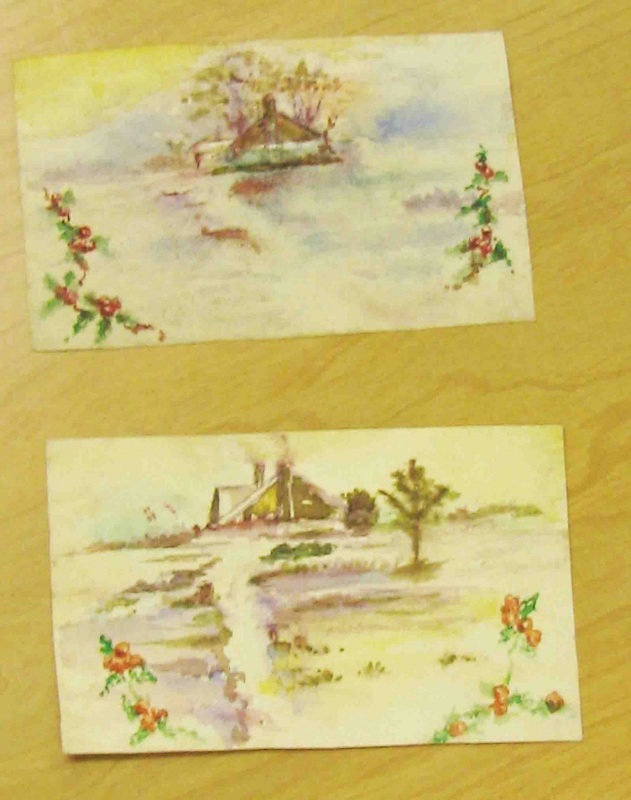 This could be the clue one of Helen(e)’s relatives has been looking for. And all discovered because of a search in the family bible. 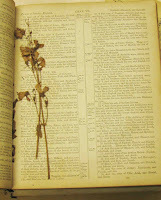 Wear and condition may also help indicate how much use the family bible received. Was it for show or was it read nightly? 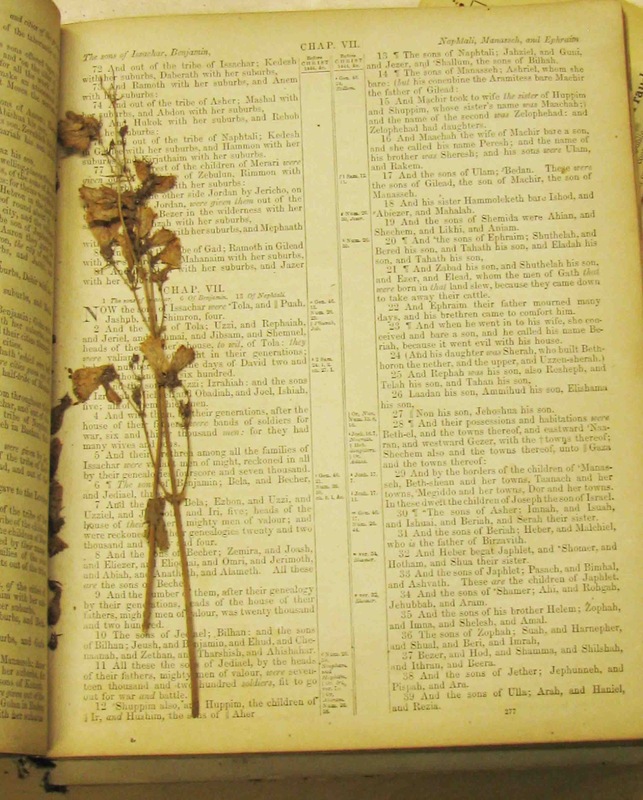 You may find hand-marked passages, or leaves and ferns used as bookmarks to show that a special section held meaning for someone. 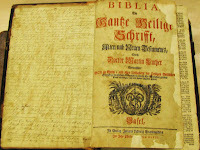 Bibles printed in other languages such as this German bible can indicate where some family members came from, even what language may have been spoken at home. Although you may not know who kept the bible records, the spelling and penmanship can indicate whether they had much schooling. 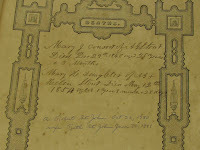 A change in penmanship can show that the torch has been passed to another generation to record the family events. Even the date the bible was published can help you put some pieces of the family puzzle together in terms of what was happening in the world and what was important at that time in history. Be advised that all bibles are not alike. Each denomination is somewhat different. 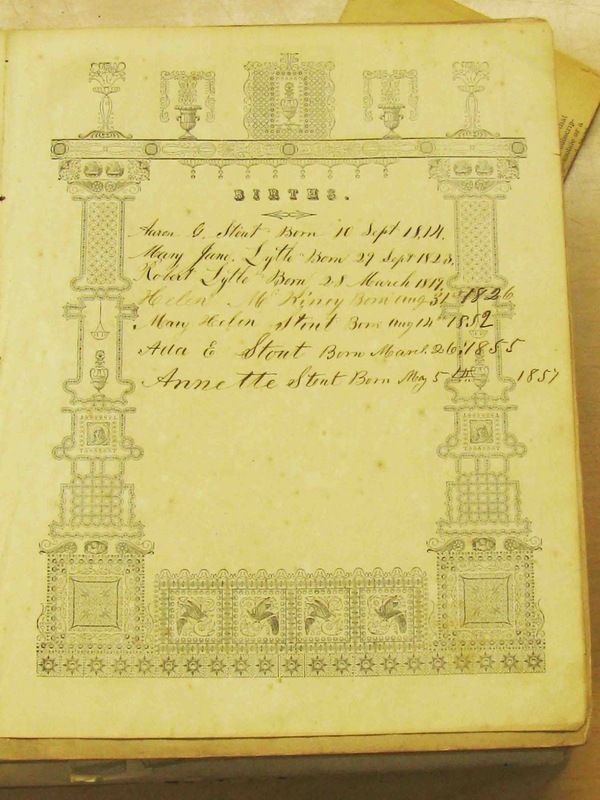 In fact, even each printer crafted a slightly different style of bible. 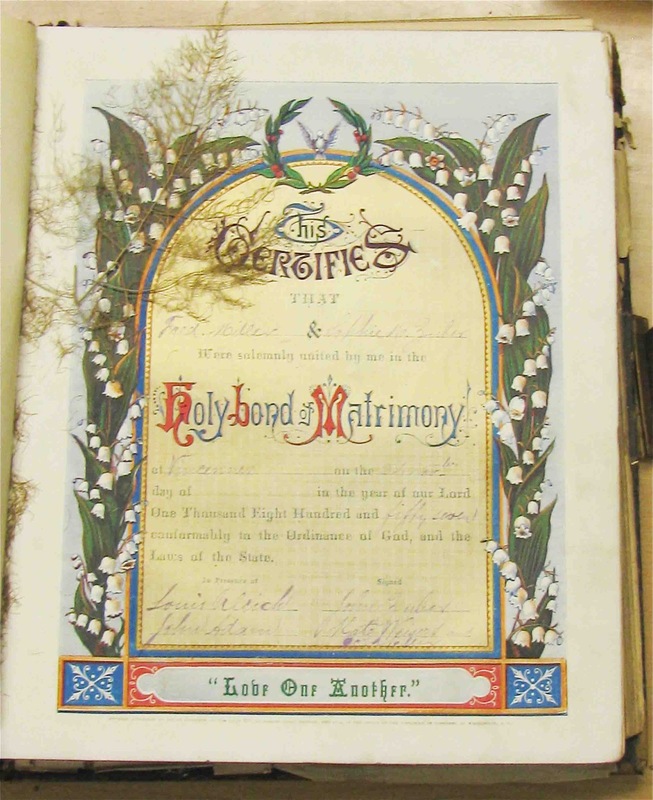 Some bibles place the family history pages – the birth, marriage and death sections, near the front, others place them between testaments and still others locate them in the back. 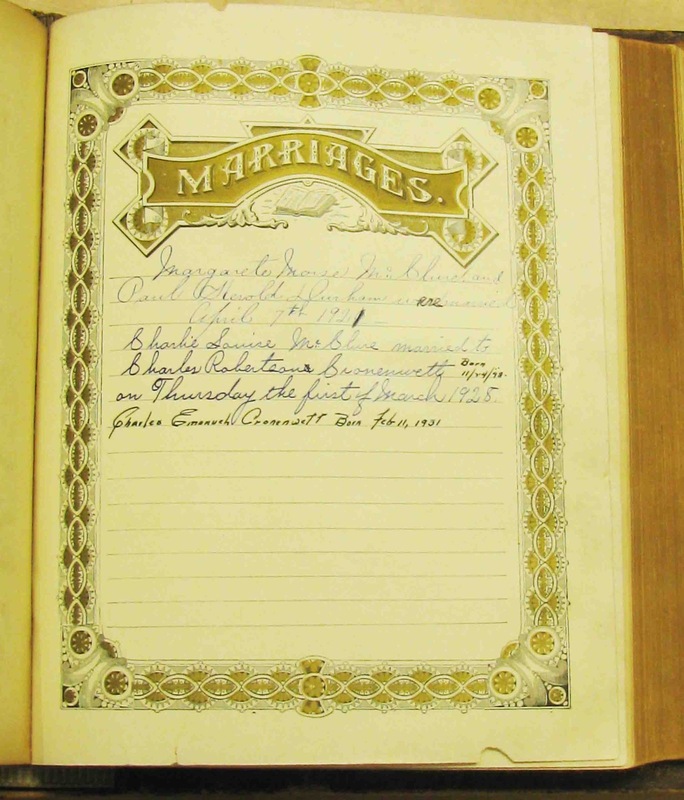 No matter where the family history pages are located, be sure to take time to page through the entire bible. Many times hand written notes are recorded on pages with favorite passages. 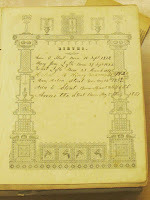 And other information may be written on the inside of the front or back covers. 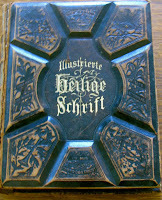 Family bibles and religious books are generally passed down through the generations. If you did not inherit a family bible but believe that one exists, there are several ways to go about trying to locate it. 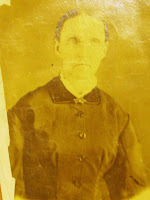 If family members do not have any clues to its whereabouts, contact your local, regional or state genealogy societies. Many times a lone relative will leave their bible and books to historical or genealogical groups. 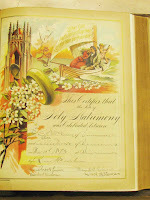 Bibles may also be purchased at auctions. 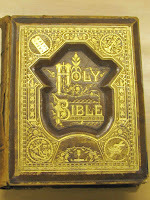 Check for family bibles on the Internet at eBay's site http://www.ebay.com, Cyndi's List also has a large section on bibles, http://www.cyndislist.com and the Daughters of the American Revolution, http://www.dar.org/ have transcribed hundreds of family bible records. 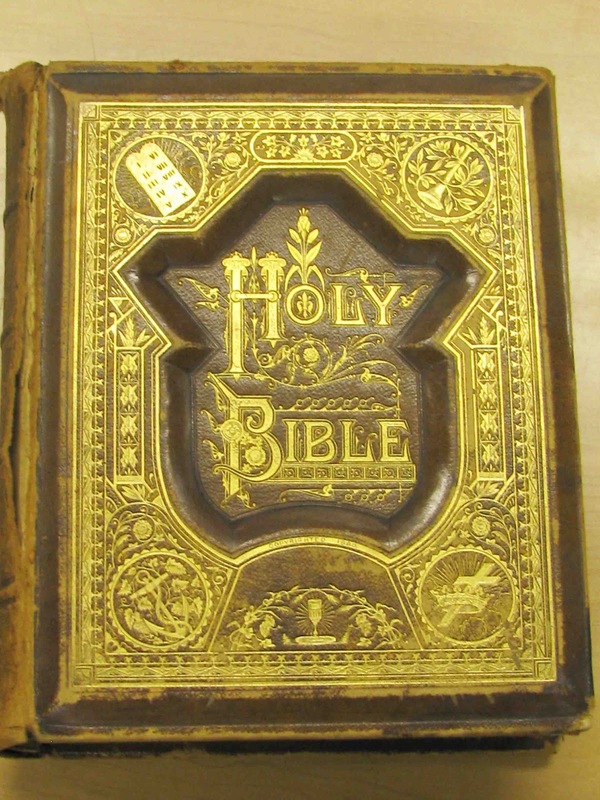 For many, bibles played a large part in our ancestors’ lives. 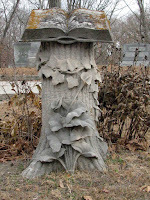 This explains why bibles were also used as symbols on gravestones. An open book could indicate a bible and refer to someone who was pious, a believer, or whose occupation was that of a minister. 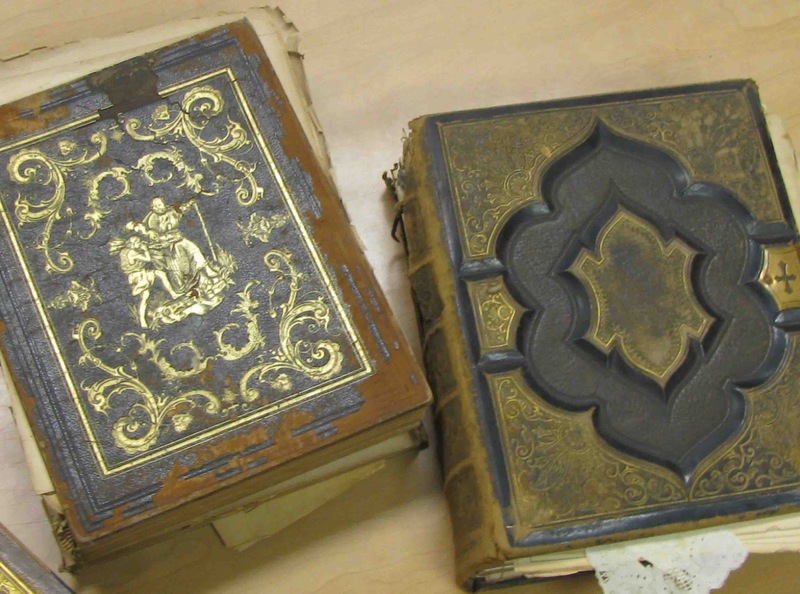 I found it thrilling and awe-inspiring to hold and page through these very old, revered books with their crumbling leather and dusty smell of another time. 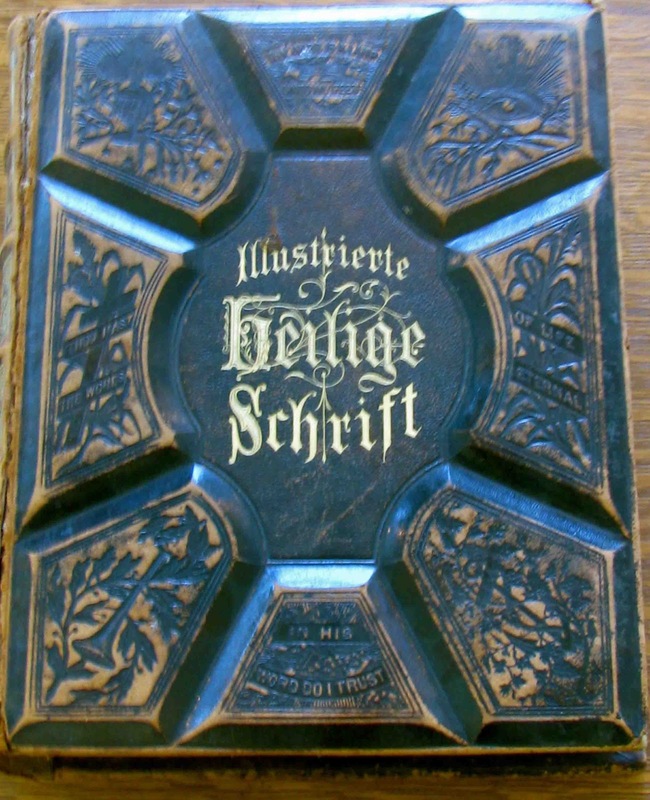 While I do not have access to any of my family’s bibles, I hope one day to locate a family bible for my clan at a genealogy or historical society, or maybe waiting for me on eBay or at a local auction. 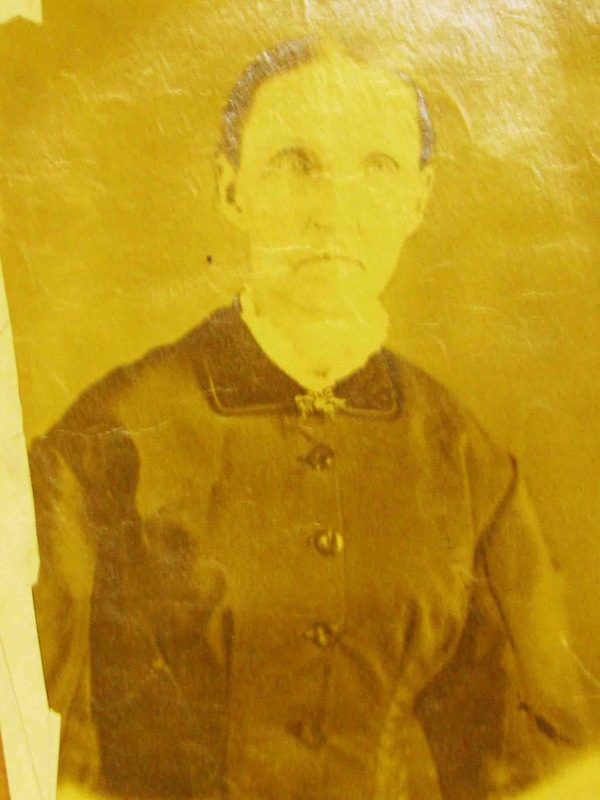 Regardless of how its discovered, getting to see a long-gone ancestors handwriting, noting the important dates that occurred in her, and her families lives would, indeed, be a priceless delight. 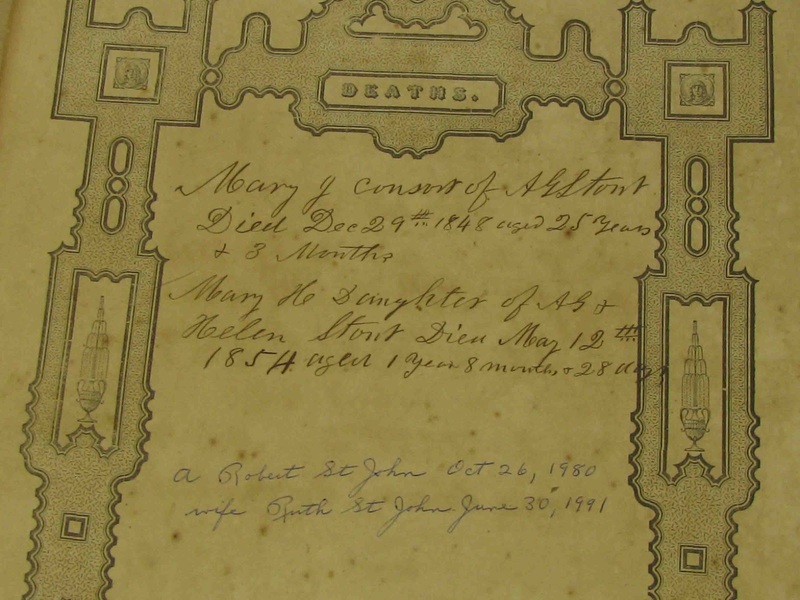 A very special thank you to Richard King, Reference Librarian of the Lewis Historical Library in Vincennes, Indiana for the allowance to look through and photography these bibles from the early nineteenth and twentieth centuries of Knox County history. 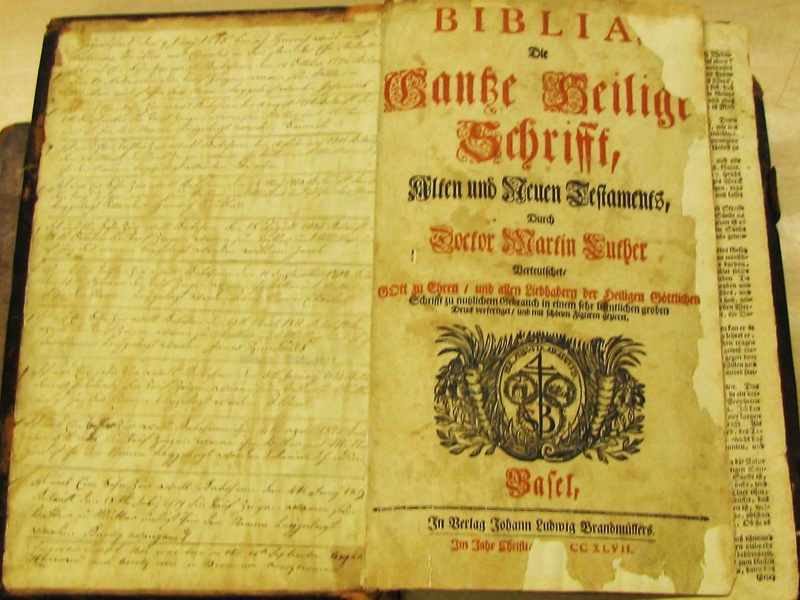 Another thank you to Brian Spangle, Historical Collection Administrator of the McGrady-Brockman House (Knox County Genealogical Society) for a chance to go through the German bible and photograph it. This new discovery has caused much excitement amongst many archaeologists from around the globe and causing some debate on this issue as it was previously thought that the Ark of the Covenant was permanently lost. Of all places in the world Panama it would seem to be the most unlikely place to have discovered this ancient relic the Ark of the Covenant, however new evidence substantiates the claims that the lost Ark of the Covenant was smuggled to Mesoamerica by Malchiah using the Phoenicians and was hidden in a cave in Volcan Chiriqui in the republic of Panama. Check out their link at http://thearkofthecovenantdiscovered.com/ Chiriqui archaeological sites.